You are here: Home » Middle East » Eve of Destruction in Mideast? 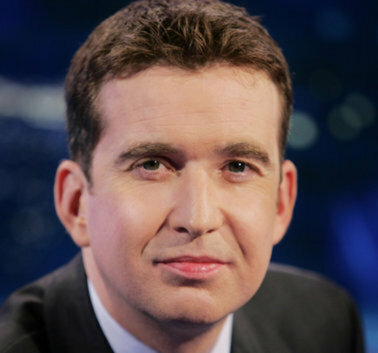 Mark Little, the CEO and founder of Storyful, does NOT say the Middle East is on the eve of destruction. 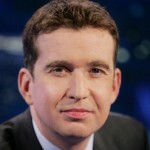 As you will hear in this interview, Mark outlines the crises in Syria and Egypt. He also guides us to sources of information that goes beyond the cable news fluff. The reality is the Middle East is going through a massive and, at times, a violent evolution. Syria could be a decades-long stalemate of Shia versus Sunni while Egypt appears headed for some democratic birthing pains. The ominous title is mine. Is it hyperbole? Maybe. Am I just trying to catch eyeballs? Sure. Or do I listen to too much Sirius-XM 60s on 6? Definitely yes. I admit it. I am still a big fan of Barry McGuire’s iconic song. But there is a warning from Barry McGuire we should heed – and we don’t. Here’s an interesting video of McGuire singing the song for a live TV audience. The set and the background dancers are a precursor to the MTV age about 15 years later. But notice McGuire’s facial expressions. He is not just singing this song. He feels the chaotic angst of the 1960s. It’s not a performance; it’s a plea to wake-up. I believe many people in Syria and Egypt are feeling the same. For many of them, they are facing destruction – their own individual destruction. Even the Jordan River’s got bodies floating. It also hits home today in a weird way for us in the US. Certainly there is a different tension with China today. Instead of a Cold War, it’s a cyber-war while we try to buy and sell each other’s manufactured goods. But how about this line that is so much more relevant today with our stalemated and bought Congress. But McGuire in the 1960s is really screaming about nuclear war. But we’re not today. And that is the underlying culprit that barely gets mention. 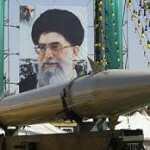 A recent report in The Economist says that Iran is only a year away from making a bomb. I mention in my interview with Mark about being skeptical of the extremist Shia from Iran. 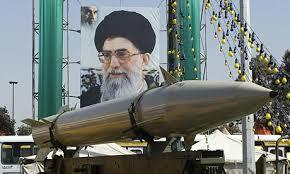 I am also wary of Iran’s new President Hassan Rohani. He wouldn’t be President without the blessings or agreement from Iran’s Supreme Leader Ayatollah Ali Khamenei. This so-called moderate seems ready to negotiate to relieve sanctions that are crushing Iran’s economy. The reality is that the poor economy is now hurting the mullahs and their businesses. And it could lead to unrest in the country although an uprising or overthrow against this entrenched regime is very unlikely. So, don’t be fooled by this new face on Iran. Even The Economist admits that Iran’s aim is to get sanctions lifted while they find a loophole to continue its nuclear program. Many think Iran’s efforts in Syria to back Assad have a number of reasons: supporting an ally; keeping a swath of the Middle East that is in Shia hands; but most importantly it keeps the US occupied and not paying a majority of its attention to the Iranian secret nuclear program. I should point out that not all Shia are extremists. And Mark made that point in our interview. This inter-Islam battle is centuries-long. It should also be pointed out that Pakistan, India, and Israel have all acquired nuclear technology over the last few decades and we’re still here. And it is very evident that Iran, in many ways, is more modern than most Islamic countries. And most Iranians don’t seem to share the hatred of Americans their government does. However, the strain of Shia Islam that is called the Islamic Republic of Iran is a dangerous and unreasonable enemy. We need massive diplomacy and discussion with Iran and the six other countries on our side trying to stop them. We also need all of us to keep this issue front and center – since the media and cable news outlets are not. 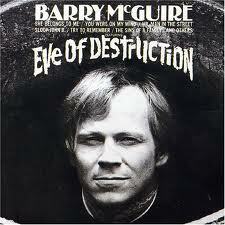 If The Islamic Republic of Iran gets the bomb, then I think Barry McGuire might be right.